Savor the very best of all possible worlds when you book a holiday at the Pyramides Apartment. 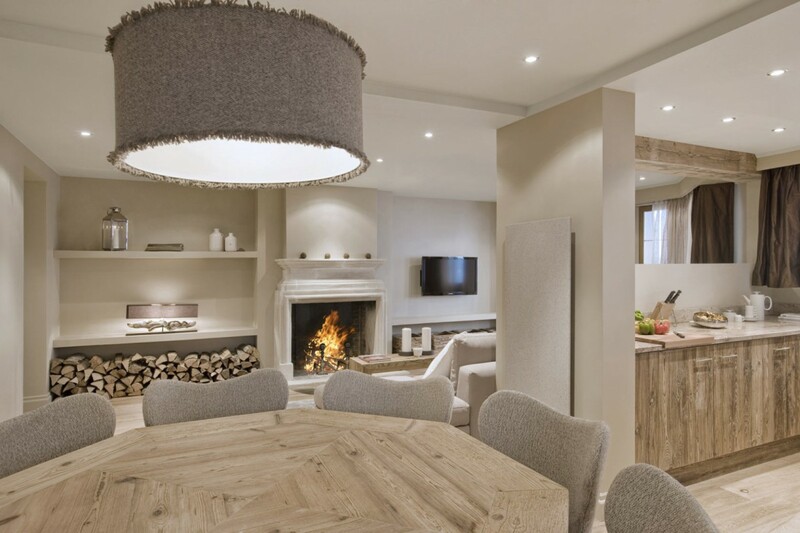 Located in the Bellecote area of Courchevel 1850, it promises amazing views of Les Trois Vallees, but it is also a beautiful space that includes a seemingly endless list of premiere services and amenities. It sits only 150 feet from the runs at Cospillots Bas and all guests enjoy access to the pool, hammam, fitness center, and sauna in the Le Strato Hotel next to the apartment. 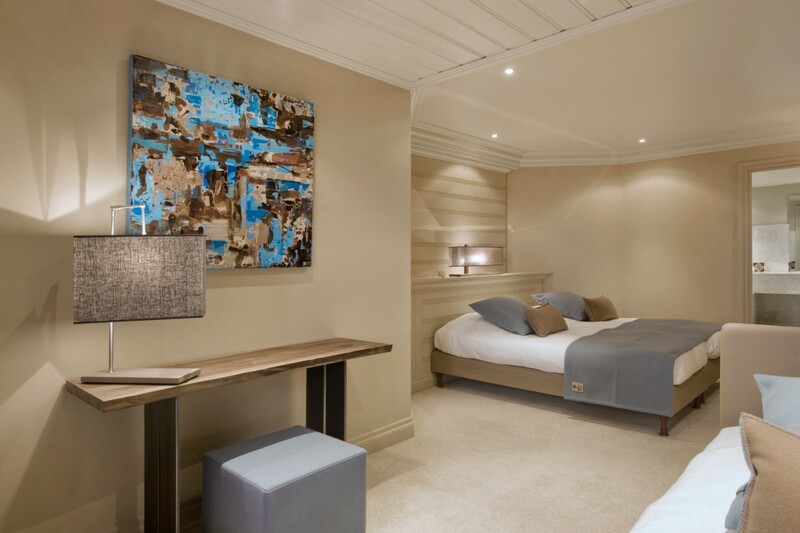 A stay also includes the use of the shuttle services, ski room and use of the premier facilities at the hotel. This includes the amazing dining at the Le Strato restaurant, the Strato Bar, and the Ski Shop Bar. There is also the Nuxe Spa where guests can enjoy facial and body treatments. The apartment itself is a two-bedroom gem with many features similar to those in a large chalet. 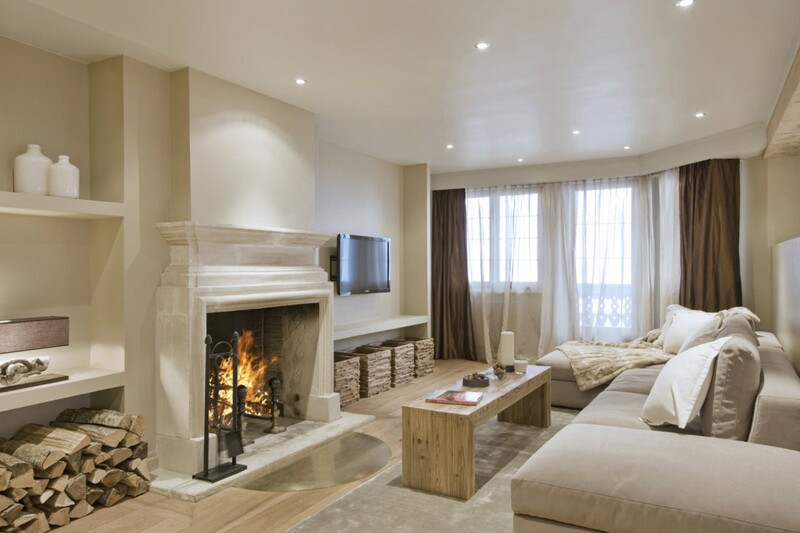 Done in a pale palette using blonde and pickled woods on the floors and for most of the cabinetry, it includes a large living room with banquette sofa, terrace, marble fireplace and dining room. Adjacent to this space is the fully-equipped kitchen with marble countertops and all of the gear needed to prepare meals and drinks. 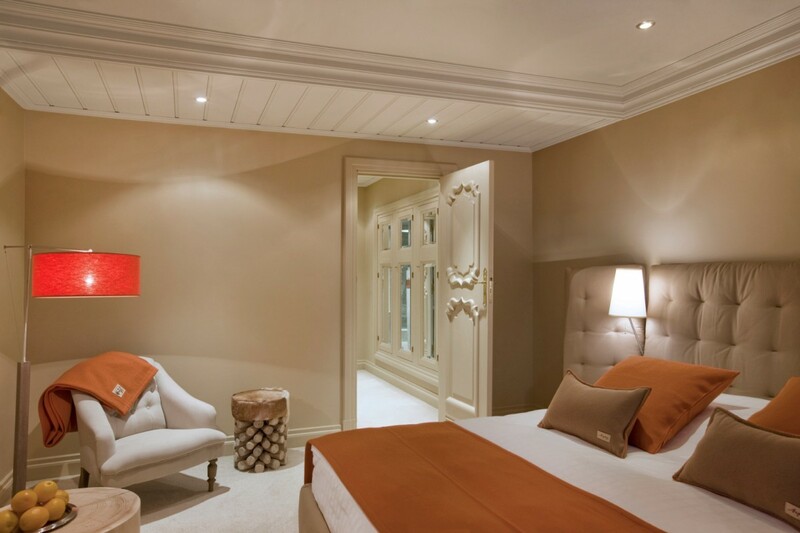 The two bedrooms are also luxurious retreats. Both have dual twins easily combined to make a king bed. 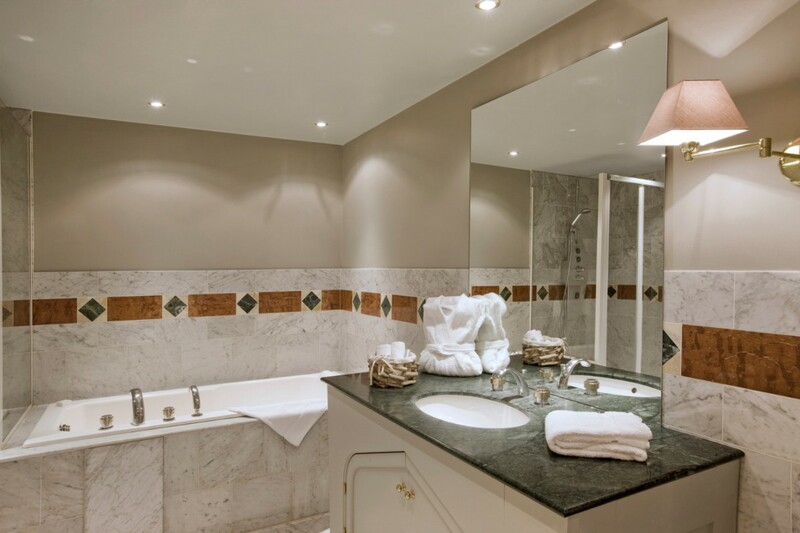 The larger suite has a separate salon and a large ensuite bath with full-sized tub. The second bedroom has a small office space and private bath. With excellent scenery, a location just steps from some of the finest slopes, and a bevy of impressive amenities and services, the Pyramides Apartment has it all. Even the non-skier or summer visitor will find an amazing array of things to see and do in this fantastic setting. Rates include : Daily housekeeping service, access to the Spa, Ski room and Shuttle service, linen change once per week, all utilities (water, electricity, wood for heating) as well as local taxes. Breakfast and Half Board Dinner plans available on request. Getting there by plane : Geneva Intl. Airport 2 hrs. 10 mins. Lyon Airport 2 hrs. Grenoble Airport 2 hrs. Paris CDG Intl. Airport 6 hrs. 30 mins. Health and Leisure : The Nuxe Spa for face and body treatments. The Wellness area has a large heated pool with snowy views, hammam, saunas, and a Jacuzzi tub. Ski shop, boutique. Bedroom 1: Bedroom with 2 twin beds, small salon and en-suite bathroom with bathtub, vanity and WC. 2 guests maximum. Bedroom 2: Bedroom with 2 twin beds and en-suite bathroom with bathtub, vanity and WC. 2 guests maximum.